Home DIY's	Bouquet Inspirations: Blue & Yellow Wedding for under $500! Bouquet Inspirations: Blue & Yellow Wedding for under $500! 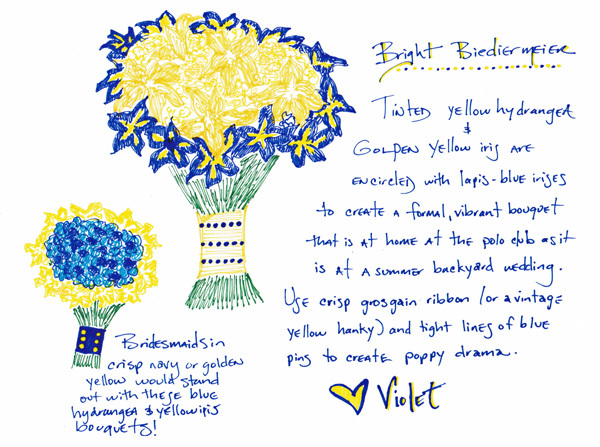 Today’s Bouquet Inspiration by Violet features a crisp Bright Blue and Yellow Biedermeier Bridal Bouquet, plus 4 Bridesmaids bouquets, and either 8 centerpieces or 2 large ceremony arrangements, all for under $500! Perfect for a classy polo or country club wedding or a relaxed backyard wedding! In a Biedermeier bouquet, the flowers are arranged in circular patterns of different colored flowers. 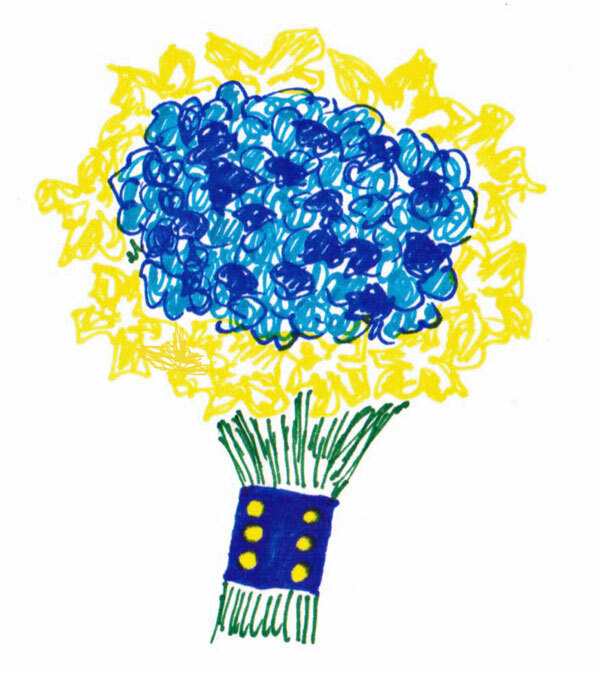 So, you can see here, we used yellow flowers for the center, then lined the bouquet with blue flowers. This gives the bouquet a very balanced and symmetrical feel. 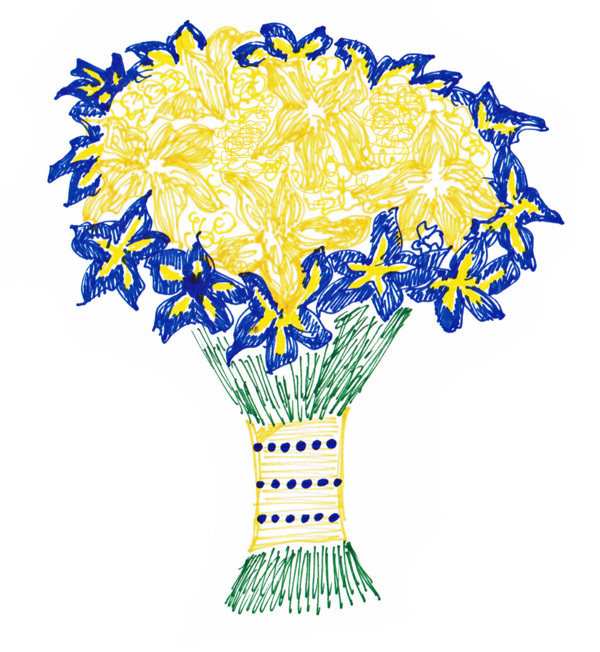 The bridal bouquet consists of 3 yellow hydrangeas, 10 yellow iris for the center, and 17 blue iris to line the bouquet. Finish by wrapping the stems in crisp grosgrain ribbon or a vintage yellow hanky, then add tight lines of blue floral pins to add drama. For the bridesmaids bouquets we switched the colors to provide interest. You could make 4 bouquets that each would include, 3 blue hydrangeas for the center, and 15-20 yellow iris to line the bouquet. Finish with blue ribbon and yellow pins. With your leftover iris, which you should have around 80 blue and 20 yellow, you can make 8 centerpieces or 2 large ceremony arrangements! Or order extra hydrangeas to expand the number of centerpieces/arrangements! Ready to create your Biedermeier bouquets? Head to FiftyFlowers to order your wholesale flowers!